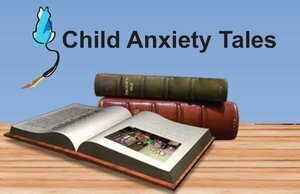 The Child Anxiety Tales program is an online training program based on cognitive-behavioral therapy (CBT) techniques for parents who want to learn how to help their child better manage anxiety. Parents will have access to 10, 35-minute training modules that will provide information on the nature of anxiety, how to identify excessive anxiety, and step-by-step instructions on how to teach your child coping strategies and practice approaching anxiety rather than avoiding difficult situations. The modules include only those strategies that have research evidence to support their use and are filled with helpful, state-of-the art, animation to help you learn as you proceed through the program. There are also videos and tips from parents and experts that provide additional strategies and tools to support you in your efforts as well as links to the most relevant and latest research and news on treatment of childhood anxiety. A high-speed internet connection is required for streaming. Best for those who would like to have the modules available offline (download) and also have online access for 12 months.